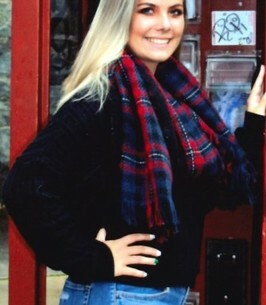 Kelsey "Kelso" Madison Barry, age 17, of Silver Run, MD., passed away on Friday, November 9, 2018 at Johns Hopkins Children’s Center. 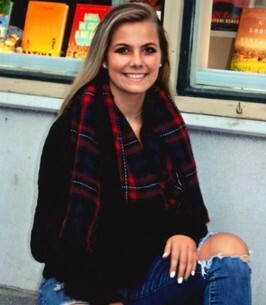 She was born in Westminster, MD on November 10, 2000, the daughter of James and Lisa Barry, baby sister of Jimmy and Kylie Barry. Granddaughter of Paula and Lou Nickles of Eldersburg MD. Great granddaughter of Joan McNeil of York Pennsylvania. 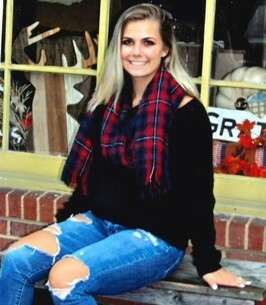 Kelsey was a senior at Winters Mill High School and Cosmetology at CCCTC, a member of the WMHS Girls’ Varsity Soccer Team as well as a member of both the National Honor Society and the National Arts Honor Society. She loved her family, her friends, any kind of animal and bacon. Kelsey was known for her sweet, kind, and generous spirit as well as her love for Star Wars and Steve Irwin. She loved to laugh and make others happy. Friends may call at the Burrier-Queen Funeral Home & Crematory, PA., 1212 W. Old Liberty Road, Sykesville, MD 21784 on Wednesday from 4-8 PM; where Funeral Service will be held Thursday, November 15, 2018 at 11:00 AM. To send flowers to the family of Kelsey Madison Barry , please visit our Heartfelt Sympathies Store. We encourage you to share any memorable photos or stories about Kelsey . All tributes placed on and purchased through this memorial website will remain on in perpetuity for future generations. Sending our deepest sympathy. So sad to hear of this. Beautiful Kelsey...we remember your life by planting this tree in your honor. Your amazing spirit will be felt at every soccer game cheering us on from above. May your family and friends find peace during this difficult time knowing how much you are loved. Fly high beautiful angel. As many have said before, there are no words to express our deepest sympathies for your loss. Please know our hearts are weeping along with yours. No words can express the pain that you are going through, your family is in our prayers. Kelsey was a beautiful young lady. We are very sorry for your loss. Jim, so sorry to hear about your beautiful daughter. My heartfelt prayers are with you and your family. I can't say the words that will make things better. I can share your pain and tell you that not a day goes by that we don't think about Kelsey and your family's loss. I hope that Kelsey and Zachary meet up and become friends so she isn't alone on her journey. Remember Kelsey often and know she will always be with you. Our family is greatly saddened by your family's loss and will pray for continued healing as you work through this difficult time. God bless Kelsey and your family.